It's been a while between interviews, but Query Questions is back! Rebecca Scherer of the Jane Rotrosen Agency is here with answers to your query slush questions. Is there a better or worse time of year to query? Yes, but that time of year may be different for every agent. In general, we often say that publishing is the slowest in August, so that can be a good time. It’s often a time of year that I catch-up on my queries. But at the same time, I’ve certainly had some crazy Augusts. And every agent’s schedule (both personal and professional) is different, and some may have lots of publications or deals happening in August. Of course these are all factors you’re never going to know and shouldn’t go crazy agonizing over. The best advice is just to submit when you’re ready and when your book is ready. Does one typo or misplaced comma shoot down the entire query? Everyone is human, though it doesn’t set the best tone for reading the rest of someone’s letter if they make a glaring error early on. It depends on the type of typo and where it is. If a writer uses the wrong form of their/they’re/there in the first line of his or her query, it makes it hard to take the rest of the query seriously. That said, samples are long and I’m not put-off by a questionable comma or spelling in the first few chapters. Best to have at least a second set of eyes read your query letter over before sending. Do you look at sample pages without fail or only if the query is strong? If the query is in the genres/parameters I’m looking for, I will look at the sample pages. I rarely finish the full sample if I’m not hooked by the 5 page mark, but I do read them. Do you have an assistant or intern go through your queries first or do you check all of them? I usually do my own, but sometimes have a trusted intern go through queries for me and pick out the promising ones. Do you keep a maybe pile of queries and go back to them for a second look? No. If it was really a near-miss with an author, I’ll write the author a nice-no and leave the door open for future projects. If the manuscript has a prologue, do you want it included with the sample pages? Yes! A prologue has a purpose; it’s how the author chooses to open the book and I want to see that. Otherwise, how will I know how the chapters play with the actual opening of the book? I always want to see the first pages of a book. Occasionally I’ll get queries that include three random chapters that jump around the book, but that’s never a good way to convey your writing style—though it is a good way to confuse prospective readers. How important are comp titles? Is it something you want to see in a query? Comp titles are very important in that they’re a quick way to get an agent’s attention. When I hear a good pitch with great comps (like “this is X meets Y”), it makes me sit up a little straighter in my chair and makes me want to move that query up in my pile. Of course, then the book really has to live up to that comparison to hold someone’s attention. Some agencies mention querying only one agent at a time and some say query only one agent period. How often do you pass a query along to a fellow agent who might be more interested? Jane Rotrosen Agency is very much a team. If I see a promising query that’s not quite right for me, I will definitely send it out to my colleagues. That’s why we always say prospective writers should research our agents and then try to decide who they think would be the best match and only send it to that agent. Do you prefer a little personalized chit-chat in a query letter, or would you rather hear about the manuscript? The big thing for me is the hook. What’s the commercial conceit? What are the comps? And how does the writer situate the book in the market? That said background and biographical information can be very important and the basics (including relevant writing or publishing experience) should be somewhere in the query letter, though not in the lead. Most agents have said they don’t care whether the word count/genre sentence comes first or last. But is it a red flag if one component is not included? It makes it harder to situate the book. Agents get a truly overwhelming amount of queries, so being able to scan a query for these things before reading is a helpful way to filter quickly for the projects that are in our wheelhouse. Should writers sweat the title of their book (and character names) or is that something that is often changed by publishers? A good title for a query is memorable, so that it sticks in an agent’s brain. Often, I’ll get promising-sounding queries in but not have time to read them right away and then things can get pushed to the back-burner. But if it’s a title that easily comes to mind, I’ll be more likely to revisit it sooner. I don’t think character names are worth worrying over. Name your children as you please! Some writers have asked about including links to their blogs or manuscript-related artwork. I’m sure it’s not appropriate to add those links in a query, but are links in an email signature offensive? I don’t think links in the signature are at all offensive. An agent worth his or her salt is going to google a perspective client before taking them on anyway, so it is helpful to include relevant resources you want the agent to see. And if you’ve got an impressive blog or other web presence, that can only help. Cover art is less helpful to include since it’s not author-controlled in the event of publication (thinking of the adult market here, if you are a children’s author/illustrator, this could be different). If a writer makes changes to their manuscript due to feedback should they resend the query or only if material was requested? Only resend material to an agent if requested. Many agents are hesitant to give feedback in rejections at all for fear of being bombarded with many unsolicited re-worked manuscripts. 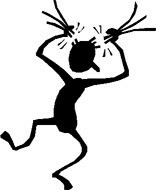 If you had a true near-miss with an agent, she would make it clear that the door was open to resubmit new or edited material. And that definitely does happen. Several times I’ve looooved someone’s voice and style, but didn’t feel the premise was commercial enough or I just didn’t feel like I could sell that particular book at that particular time. Then if an author comes back with something new (and sends my original response back with it), I’ll remember that there was something great in this writer and then be happy to take a look at the new work. What bio should an author with no publishing credits include? Anything else relevant to the writing, like if your book is a historical novel set during WWII, what’s your connection to the era? How have you done your research? What makes you uniquely qualified to pen a story in a particular world or on a particular topic? What does ‘just not right mean for me’ mean to you? At its heart, this common but true phrase in a rejection just means that the agent doesn’t feel that they are the best advocate for this manuscript at this time. That could be for a million different reasons (too similar to another manuscript they’re working on; voice didn’t do it for them; they don’t have a strong vision for who in publishing to sell the book to; they just didn’t get that got-to-have-it feeling from reading). And all of that is to say, that if an agent doesn’t feel strongly enough that he or she would be your best advocate, you don’t want that person as your agent. You need someone enthusiastic who is going to be your loudest voice and number one champion to sell your book effectively. Do you consider yourself a hands-on, editorial type of agent? Definitely. Reading is the best part of this job and playing an active role in helping an author find the best expression of their book is the most gratifying part of the job. What’s the strangest/funniest thing you’ve seen in a query? I once received a query letter addressed as: ‘Yo Becky,’ even though we’d never met and I’ve never been a Becky. What three things are at the top of your submission wish list? Well-done psychological suspense is at the top of everyone’s list right now. But it has to say something unique and the writing has to be sharp enough to make it stand out in a crowded but well-selling field. Women’s fiction for the book club reader that leans up-market. And I am always on the lookout for recently-set historical books—70s, 80s, 90s, particularly works with gritty New York settings. That’s the nostalgic New Yorker in me. What are some of your favorite movies or books to give us an idea of your tastes? So, so, many—hence why I’m in this business! I guess the favorites that say the most about my submission taste would be anything Dennis Lehane, The Godfather (or any Mario Puzo book, since I’m a sucker for a well-done mafia book)—also love the movie, but the book is well-worth reading no matter how many times you’ve seen the movie. Patti Smith’s Just Kids is one of the best memoirs I’ve ever read. Its ethos is poetically beautiful, but I love it for its loyalty to New York. Betty Smith’s A Tree Grows in Brooklyn is definitely a childhood favorite I still love and go back to. Anything by Chimamanda Ngozi Adichie. I’d read a phone book if she re-arranged the names in it. And I grew up reading Agatha Christie books, so as many in publishing do, I probably owe my love of mystery to her. No one knew how to keep a reader hooked better than Elmore Leonard. Also anything Kurt Vonnegut. Other movies: Dead Poets Society or anything set at a prep school; Almost Famous because it’s a love letter to music; 12 Angry Men is why courtroom drama will never go out of style. I’m also a big James Bond fan—both the books and movies. When Rebecca Scherer first walked into the JRA townhouse, she thought the parlor looked like something out of her favorite Edith Wharton novels and couldn’t believe how lucky she was. She dove in whole-heartedly and had the good fortune to apprentice with the some of the best agents in the industry. Having worked her way through each department of the agency, Rebecca enjoys all aspects of the business and has a comprehensive perspective on the type of career management that JRA is known for. Now an Associate Agent, Rebecca works closely with Meg Ruley and Andrea Cirillo on their client lists while actively building her own. 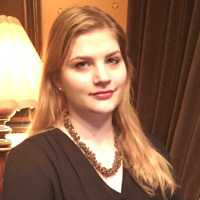 A lifelong New Yorker, Rebecca holds a BA in English Literature, Political Science, and German from the Macaulay Honors College at Hunter College. She is particularly interested in works of women’s fiction, mystery, suspense, thriller, romance, and upmarket/literary-leaning fiction.